Features and Benefits: Choose from 9" or 12" cuff lengths to meet your specific protocol. Low surface particulates, ionic extractables and non-volatile residues. Micro-textured fingertip surface enhances wet or dry grip. Silicone-free. 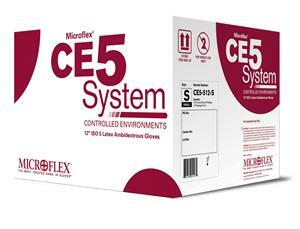 Multi-Class cleanroom compatibility. Provides superb aesthetics, dexterity, tactile sense, fit, feel and comfort.